But come, come. We’re all adults (not really), we can eat bran. 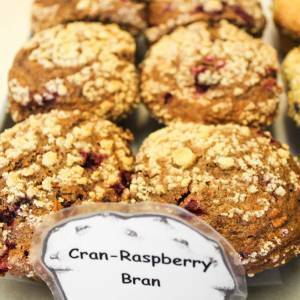 Well, for those of us with a humbler disposition Frank Michaud has very generously added Cran-Raspberry to beautiful bran muffins.